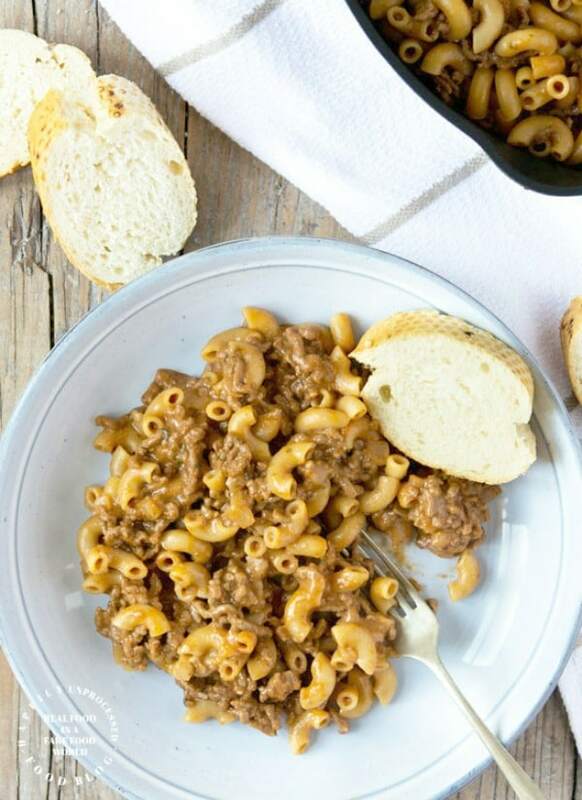 A homemade, healthier version of the famous boxed dinner. 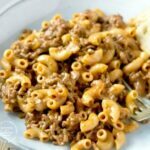 Seasoned ground beef and onions simmer alongside pasta in tomato sauce and beef broth and is then topped with cheese for a one skillet 30 minute dinner. 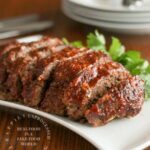 One of the main reasons I started this website way back in 2012 was to show others who had fallen into the processed trap how easy it is to avoid the boxed, processed versions of popular meals and make the same meal from scratch. 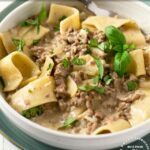 The ‘unprocessed’ part of our website tries to adhere as closely to the definition to this word as possible, while still maintaining some sort of realism that Americans love their pasta and comfort foods. 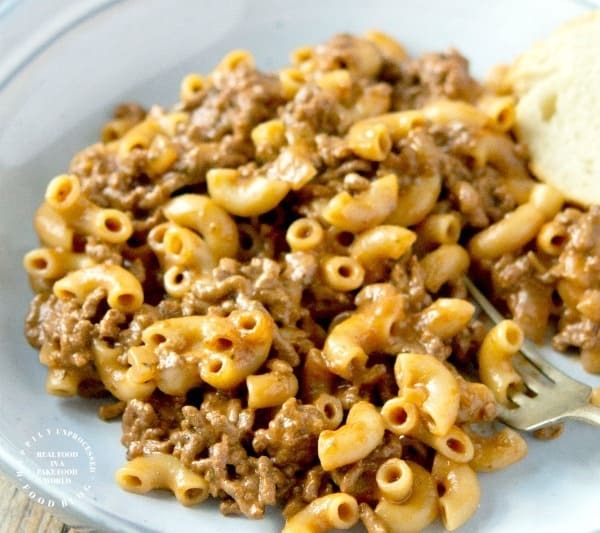 And cheeseburger macaroni is truly an American classic. It has all the elements that make Americans want to devour it with a shovel. You won’t find this type of macaroni casserole outside of the states. It is comfort food all the way. It warms the cockles and it tastes as good as it looks. 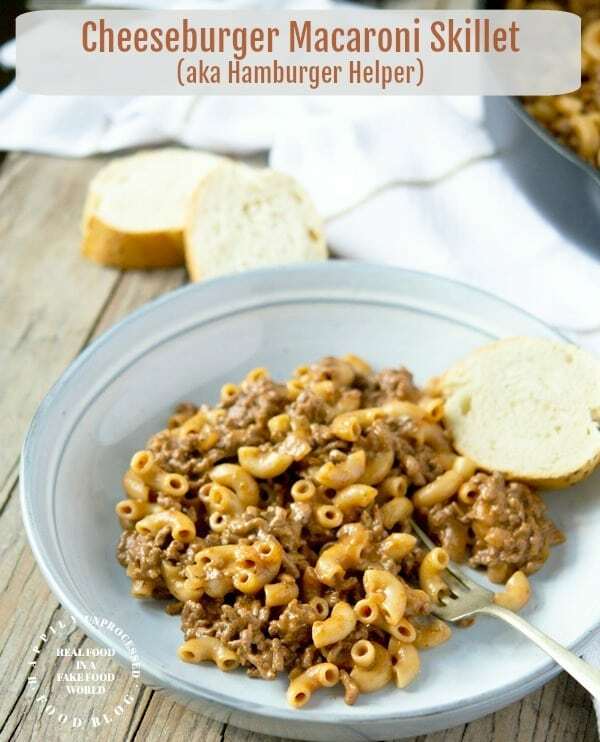 It’s super easy to make which is why it surprises me that Hamburger Helper is still one of the easiest boxes to pull off the shelf for some people. I get that it’s convenient. It’s easy. It’s done in one pan. And it’s on the table in under 20 minutes. So is ours! … and there’s no powdered cheese. This recipe truly does not take a MINUTE more to make than the boxed version. I also wanted to mention that you can add your own personal touches too. I’ve added 1/2 can of diced tomatoes and some diced green peppers too. I’ve made it both ways and we are split in our house. I prefer it with the tomatoes and peppers, the rest do not. You can make it either way, but I totally understand if you have kids and they don’t like those little ‘things’ in there. Or you can make it just like pictured below. That’s the beauty of making it yourself. Something I get asked a lot about is how to cut an onion so all the pieces are the same size. Here is a helpful video from Rachel Ray and she jokes about how it’s not the ‘culinary’ way to cut an onion, but it’s been how I’ve been doing it for years! Heat a large skillet over medium heat. Brown the ground beef, onion and green pepper (if using), breaking up the beef as it cooks. When done, drain if necessary and add the paprika, parsley, garlic powder, cayenne, salt and pepper. Stir. Stir in the milk, broth, diced tomatoes, Dijon mustard and tomato sauce. Bring to a boil, add the pasta and stir. Reduce heat to a simmer and cover. Cook for 10-12 minutes or until pasta is tender. Stir occasionally to prevent sticking. Stir in shredded cheese and parmesan cheese until melted.